We're in the midst of my favorite time of year, particularly in NY. The weather is 60's and 70's. The flowering trees have blossomed. It's warm and sunny and happy. *sigh* Beautiful. But, spring is fleeting. Over before it even really begins. And then we have summer. But that's totally OK, because I love summer too. Summer is shorts, flip flops, tank tops, and pure, embracing, sunny heat. It's long days and warm nights. It's green grass and yellow sun and blue skies. Growing up it meant spending all my time swimming at my grandma's pool, playing with my cousins. It meant running around with my friends as the sun went down, catching fireflies and watching flickering flames of the bonfires our dads would have. It meant family and friends and fun and lazy days. I've gotten all gooey (figuratively and literally) about s'mores with you guys before. Suffice it to say: I love em. These are about to be one of your new favorite things. And...you may end up with some extra batter. 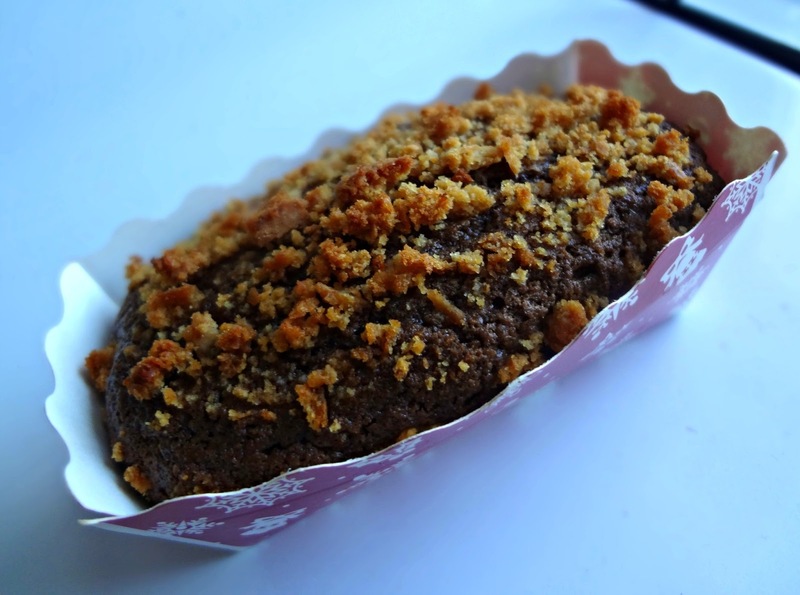 I made a cute little loaf cake with crumbled graham crackers on top. You know me, I don't judge. 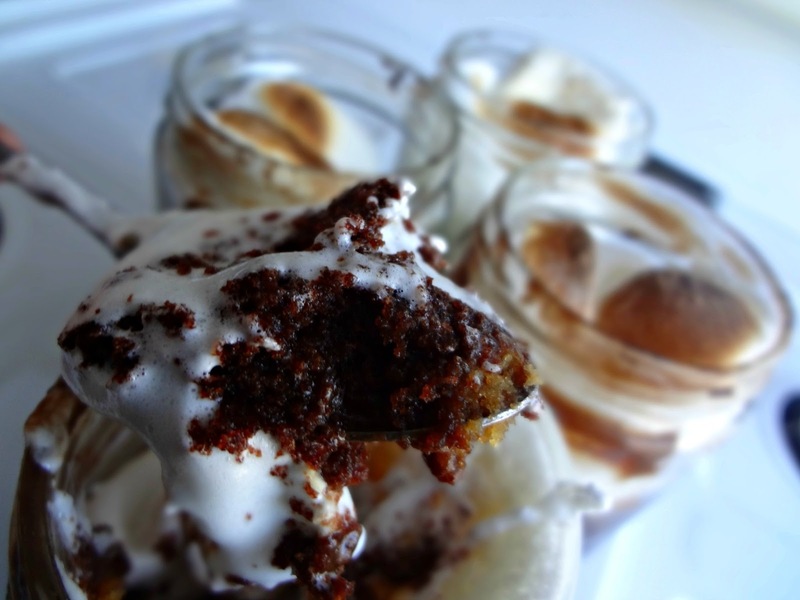 -You may have leftover batter (like I did)-just use it for whatever you please (like cupcakes). -You can use different sizes of jars, just use your judgment to figure out how much batter to use for each jar (never go over halfway) and you may need to adjust baking times. Spray 4 jars with non-stick spray and preheat oven to 350 degrees. Mix melted butter with graham cracker crumbs and salt until moistened. In a bowl whisk the egg and sugar until there are no lumps. Then, stir in the vanilla, milk, cream, and melted butter. Mix in the sour cream/yogurt. Sift together the flour, cocoa, baking soda, and salt then add to the wet ingredients, mixing until smooth. 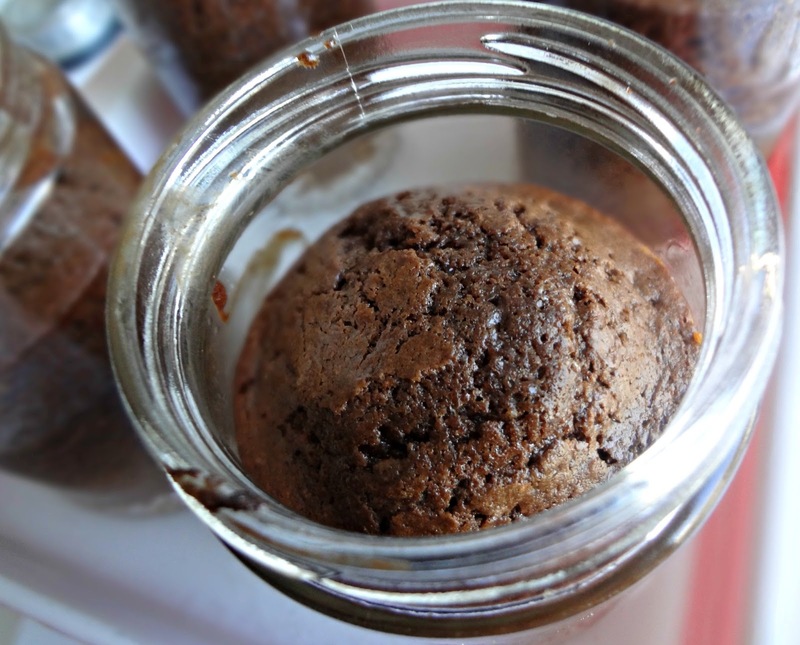 Using 1/4 cup measure, add batter to the jars, one scoop in each at a time, and fill them up about half way. 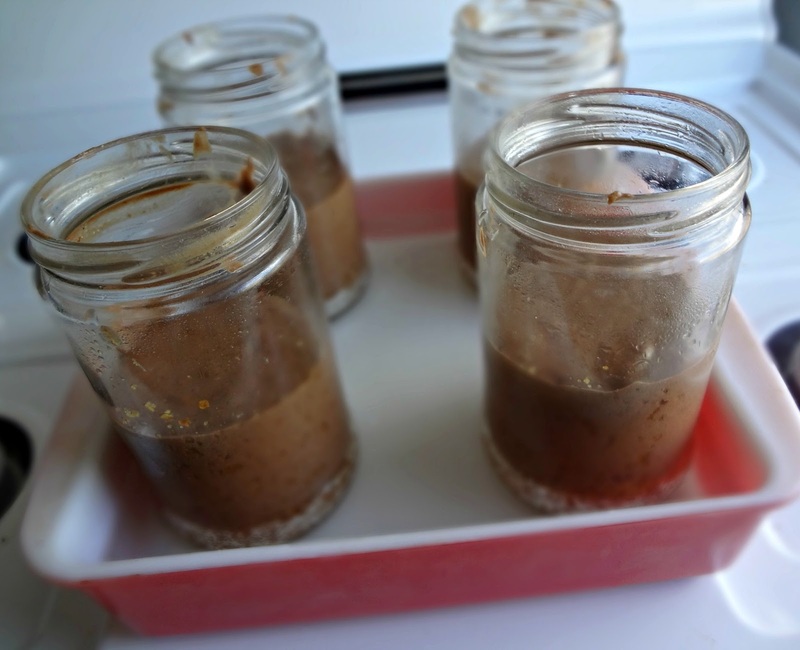 Place the jars in a baking dish and add about 1 and 1/2 cups water to the bottom. Bake 30 minutes, until cake is set. Remove from oven. 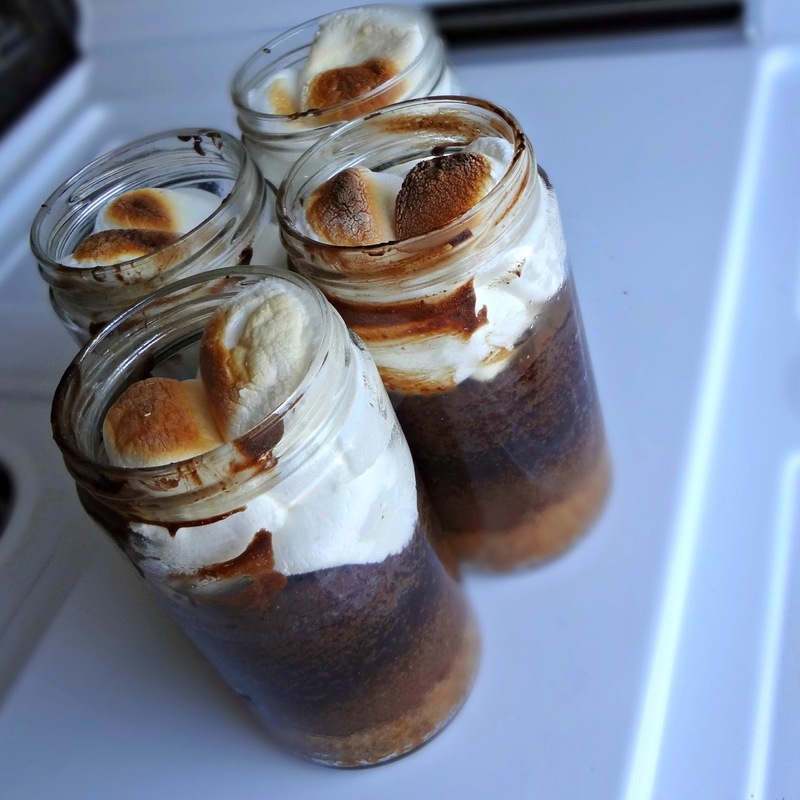 Press marshmallows onto the top-as many as you can (about 4-5 for each jar)-don't burn yourself! 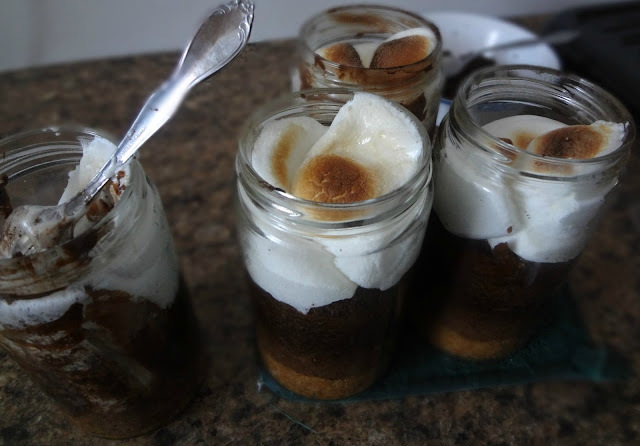 Turn oven to broil and place the jars under the broiler, WATCHING CAREFULLY, let marshmallows toast and brown (this should only take a couple minutes). 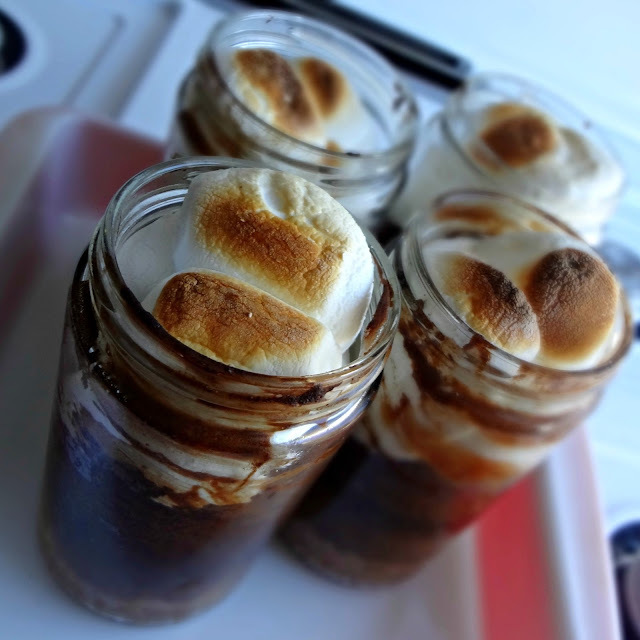 If the tops of the marshmallows are toasted but the rest aren't cooked enough, turn off the broiler and let the jars sit in a 350 degree oven until they are gooey. Serve immediately. Store at room temperature. To reheat just place in a microwave on high for 1 minute. Dontcha just wanna dig in? ?